Nipah virus (NiV) infection is a newly emerging disease which can be transmitted to humans from animals. The natural host of the virus are fruit bats. Three people have died from the infection in Kerala so far.Health officials in the south Indian state of Kerala say nine people have died in confirmed and suspected cases of the deadly Nipah virus. Three victims have tested positive for the virus in the past fortnight. The results from the remaining six samples will be available later on Monday. Twenty-five others have been hospitalised with symptoms of the infection in Kozhikode, officials said. Kerala’s health secretary Rajeev Sadanandan told the BBC that a nurse who treated the patients had also died. Which animals can spread the disease? The natural host of the virus are fruit bats belonging to the family Pteropodidae. 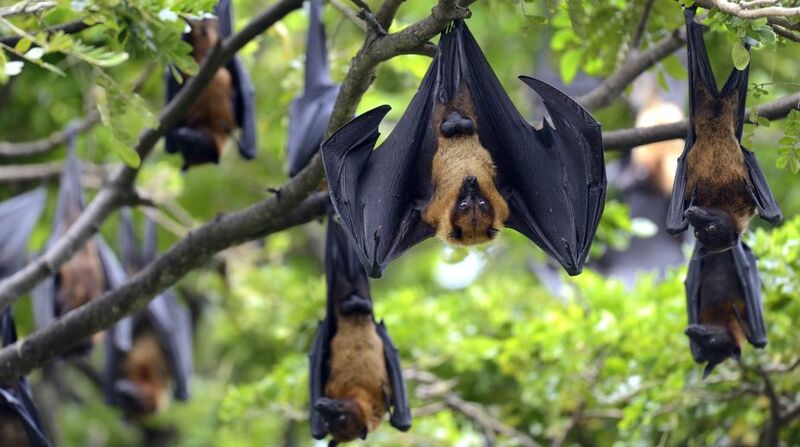 In 2004, humans were affected after eating the date palm contaminated by infected fruit bats. Pigs can also act as intermediate hosts. Fruit bats are considered to be the natural host of the virus.Health officials in Kerala said they had found mangoes bitten by bats in a home where three people died of the suspected infection. When was it first reported? It was first identified in 1998 at Kampung Sungai Nipah village, Malaysia. The virus is named after this village. The symptoms of Nipah are similar to that of influenza: fever, muscle pain, and respiratory problems. Inflammation of the brain can also cause disorientation. Late onset of Encephalitis can also occur. Sometimes a person can have an asymptomatic infection, and be a carrier of Nipah and not show any symptoms. How do doctors diagnose Nipah ? The Nipah virus is classified as a biosecurity level (BSL) 4 agent and the tests should be carried out in special labs to prevent its spread. The blood and body fluid samples of two persons who died in Kozhikode were studied at the special laboratory at National Virology Institute, Pune. Currently, there are no vaccines for both humans and animals. Intensive supportive care is given to humans infected by Nipah virus. According to WHO, ribavarin can reduce the symptoms of nausea, vomiting, and convulsions associated with the disease. Individuals infected need to be hospitalised and isolated. Special care should be taken to prevent human-to-human transmission. Surveillance systems should be established to detect the virus quickly and to initiate appropriate control measures.